3 vokaliniai mikrofonai su dėže. 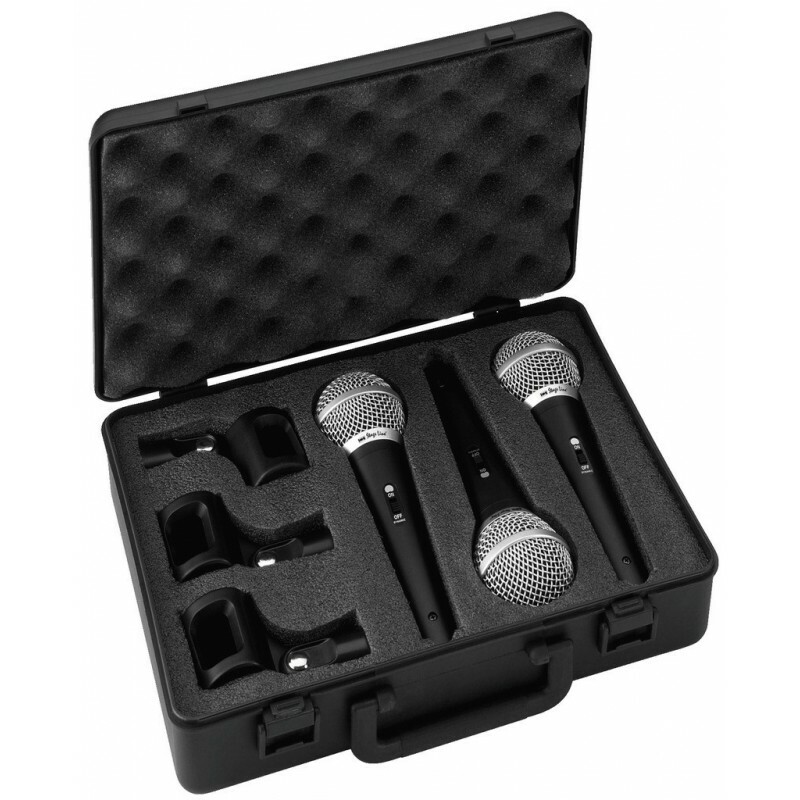 Set of 3 vocalist microphones, ideally suited for recordings and live performances. 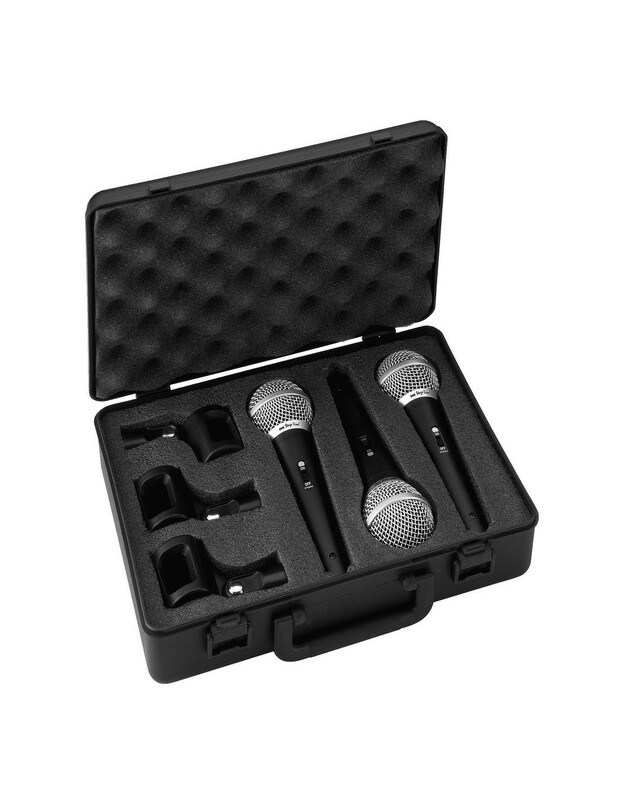 The frequency response has been especially optimised for vocal applications which makes the DM-3SET a reliable tool for all vocalists.